Please email us at orders@mydogtag.com to inquire about any of our affiliate or cross-promotional marketing opportunities. Entice your site visitors to subscribe, sign-up, or buy your products with a FREE Dogtag branded with your site. 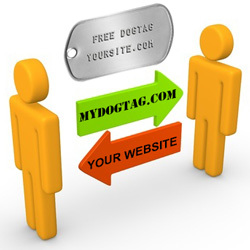 Offer your members or visitors a permanent discount to MyDogtag.com with your own branded coupon code or special dogtag keyword. Create a contest giveaway with our custom Gift Certificates. If you run an active website, blog, gift idea, product review, box-opening site or Youtube channel that caters to a similar audience as MyDogtag.com we would be pleased to send you a FREE evaluation set of dogtags for review. Are you an amateur or professional photographer with a interest in shooting dogtags? If you share your photographs with us and on social media we would be pleased to send you some FREE dogtags and related items for your shoot. We prefer "action" shots with dogtags being worn by people or being used in unique situations. 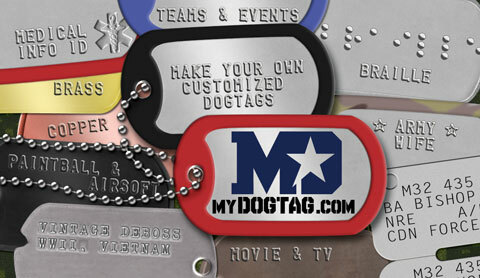 Please email orders@mydogtag.com and include some of your work or a link to your portfolio website. In exchange for the dogtags we request royalty-free web-sized copies of at least 2 photographs for use on our website and facebook page. If we use your photos we will credit you with a link back to your portfolio. 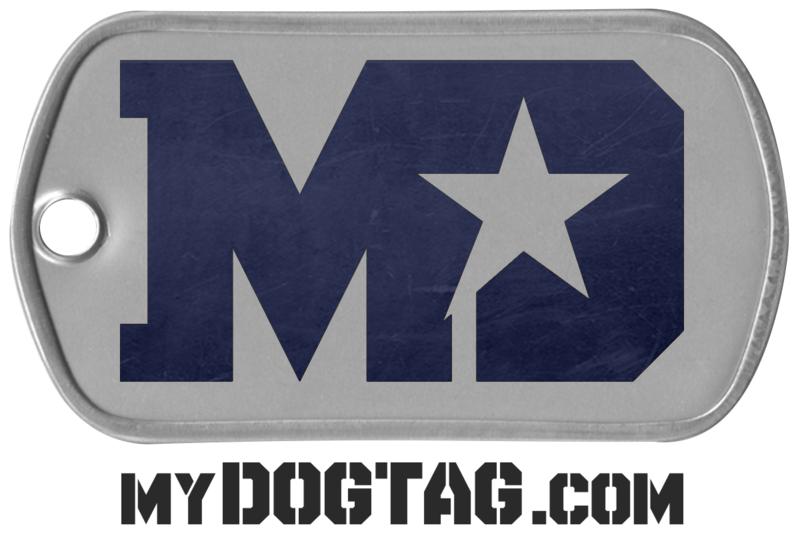 Military Dog Tags - Design and order your own custom dog tags with the online dog tag generator! 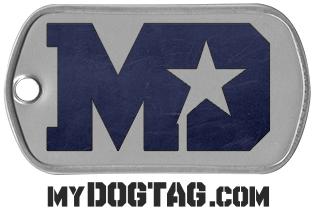 MyDogTag.com - Design and order your own custom dogtags with the online dogtag generator! 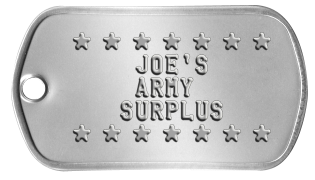 Similar to "tweeting" or "facebook posting" and article or phrase, now you can make it appear on a dogtag! Download a Hi-Res PDF of our promo card with 10% discount to print and give away! For advanced webmasters we suggest that you preconfigure a custom dogtag generator template for your website users so that when they click on our banner they will see dogtags on our site that you have already created for them! You can even set a discount promo code (if you pre-arrange it with us first). Simply create your dogtags on the dogtag generator page and then click the "TinyURL" button . You can then copy and paste this link code into your own website. Please note that if you are using an image created by the dogtag generator on a commercial website it must be hyperlinked back to www.mydogtag.com.